Ever-changing environmental conditions and climatic transformations have affected each component of the environment. Increasing rates of soil, air and water pollution have altered the growth and production of vegetation to a greater extent and medicinal plants are also not spared from this. Medicinal plants form an important part of traditional and modern systems of medicine. The consumption of medicinal plants has increased over the last few decades. 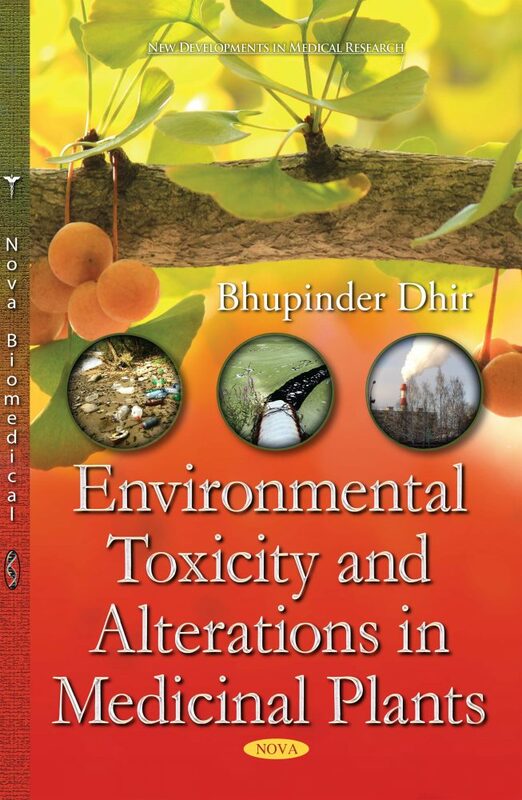 The present book provides detailed information on the topic with an emphasis on the effects of inorganic, organic (chemical), biological and other contaminants of medicinal plants. It provides a vast amount of information concerning the effects of various environmental factors on growth, productivity and secondary metabolite production in medicinal plants. The book also highlights the adverse effects of contaminants in plants and related toxicity of contaminated medicinal plants, with their possible effects on therapeutic efficiency and human health. The detailed information about the contamination and toxicity in medicinal plants will challenge the scientific community to find ways of countering many environmental adversities to protect, preserve and maintain many of the rare, highly valuable medicinal plants used in treating various diseases.